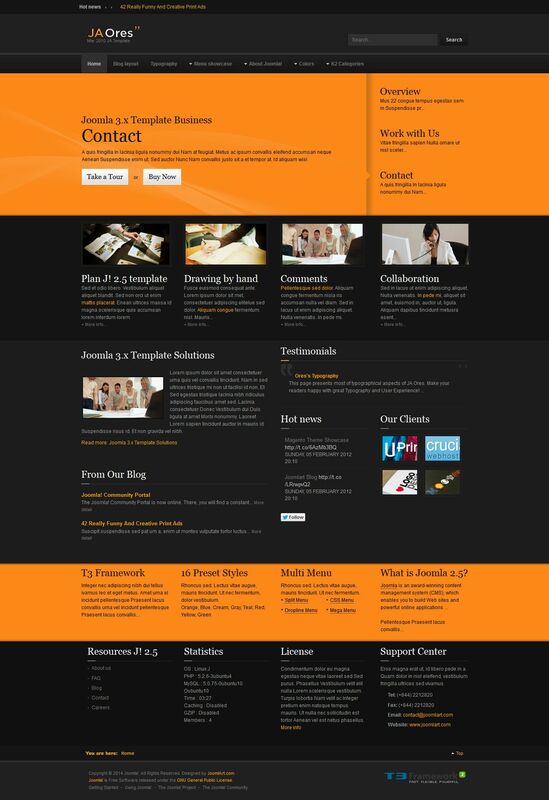 JA Ores - professional business template theme from the popular design studio JoomlArt. Contemporary design template, made in dark colors, excellent for creating a company's website. Functional studio platform, which is designed template layout allows much faster to load in all browsers provide full optimization of the code files and support all mobile devices. Built-in template manager configuration management allows you within minutes to customize the appearance of the site. Flexible modular design and the presence of component K2, adds several new features in the publication and posting materials on the site.